1. Tamanu Oil works forreal. 2. Shea Butter works forreal. 3. Essential Oils should be used with caution. 4. Google is your friend, but so is discretion. Ok, so it goes a little something like this. Last week, I woke up with a huge zit on the left side of my face, Not a pimple, a zit. Like, I just woke up as an 8th grader all over again zit. It wasn't cute, pretty, funny, or sweet. I didn't appreciate it one bit. While I know what happens on the outside is a reflection of the inside (I had been eating way more "quick" food and snacks, thanks to packing, cleaning, and the move), I still needed an effective remedy to help it go away with the quickness, cuz selfies. I was all outta Tee Tree Essential Oil, and was in no mood to hunt for asprin to crush up. I had Bentonite Clay, Oregano Essential Oil, and Apple Cider Vinegar. Now, I shoulda left well enough alone and mixed the Bentonite and ACV and went about my business. But this zit was so disrespectful, I went stealth mode and added two drops of Oregano Essential Oil to my emergency zit fix. Wrong, wrong, wrong, wrong, wrong. So much wrong. First mistake - I didn't do my Googles. I went based on my (sometimes faulty, always brimming with random useless information) memory, just knowing I read somewhere that Oregano Essential Oil was a swap for Tea Tree Oil when it comes to antiseptic and antibacterial properties. And there's some truth to that - just ask @goldnlyfe on Insta, who took it internally to cure strep throat. But apparently, I didn't get the memo that the need for dilution was real. Second mistake - I was impatient. I get impatient, I get rushy, and I make rash decisions. Third mistake - I didn't spot test. I just slapped the concoction straight on my face without a second thought. Because of these three things, I ended up with a big fat burn on the side of my face. In addition to the zit, though. Had I just let the zit run its course, it would have eventually faded into obscurity. But thanks to my impatience, I had to spend the last week with a zit and a burn. Sorry if it puts you off as gross, but it's real. The pic above was from day 3 of the burn, where it had just started that icky scabbing process. Now, here's where things get real and miraculous. Be Kekoa Tamanu Oil and Kyra's Shea Medleys Strength + Emollient Butter Cream. It's handcrafted, fair trade, and sustainably sourced on a small farm on the island of Huahine in French Polynesia (I witnessed it firsthand on my trip to Tahiti). 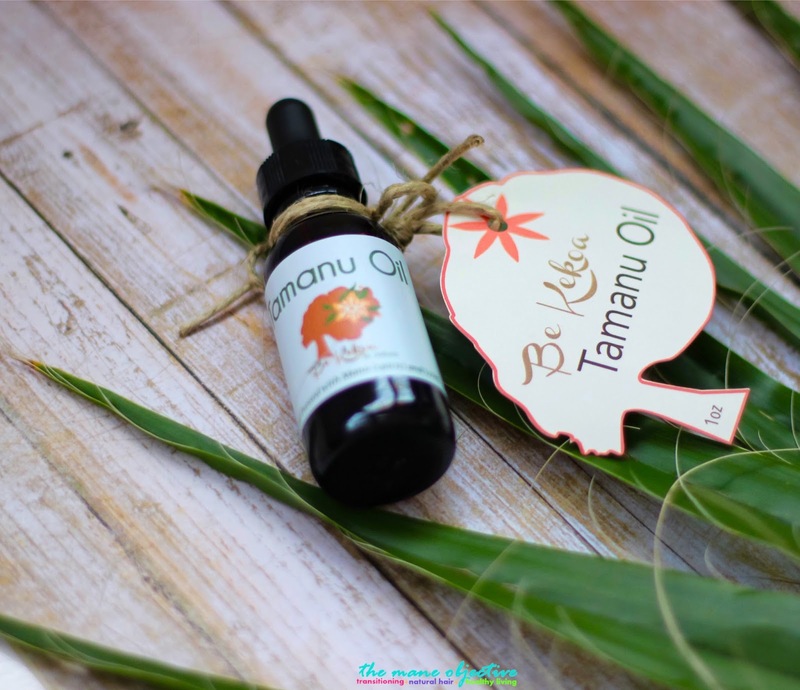 Tamanu Oil is rich in vitamins A and E, and anti-inflammatory Omegas, which heal, protect, and fight skin damage while restoring elasticity and preventing discoloration. It's incredibly potent - a little bit goes a long way forreal. Also handcrafted in small batches - born and made in Los Angeles! 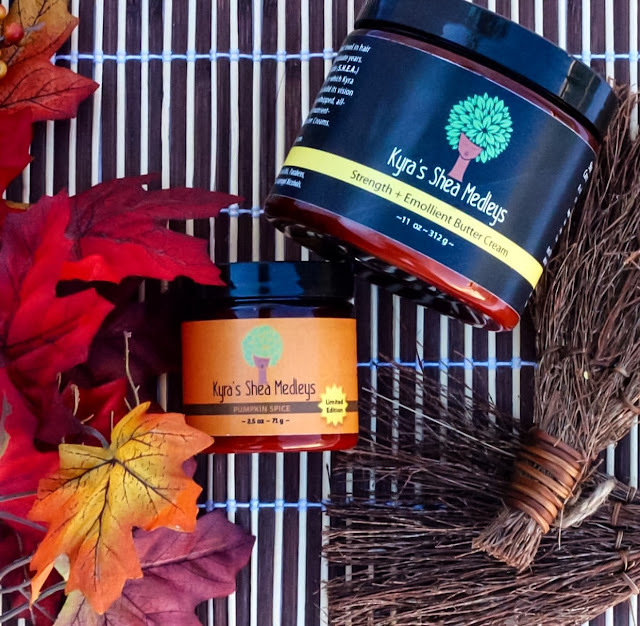 It's infused with carrot oil and Mango Butter, which is rich in beta carotene and vitamins A, C, D, and E. Both aid in moisturizing and stimulating the growth of new skin cells. It smells ah-MAY-zing. My longtime favorite KSM butter. Also worth noting, both Be Kekoa and Kyra's Shea Medleys are Black, woman-owned small businesses born and bred in California. 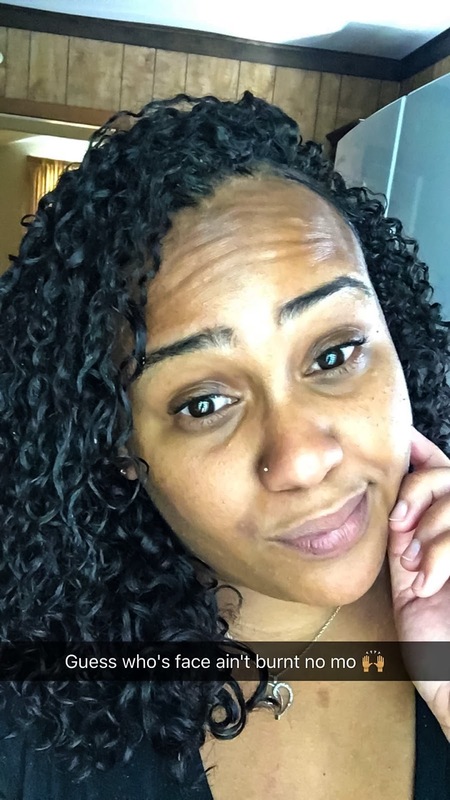 And more importantly, Brandie (Be Kekoa) and Kyra are generous, community-oriented women who utilize their businesses to financially support and contribute to communities economically. Don't mind the tiny bumps - gotta get back on drinking my ACV. 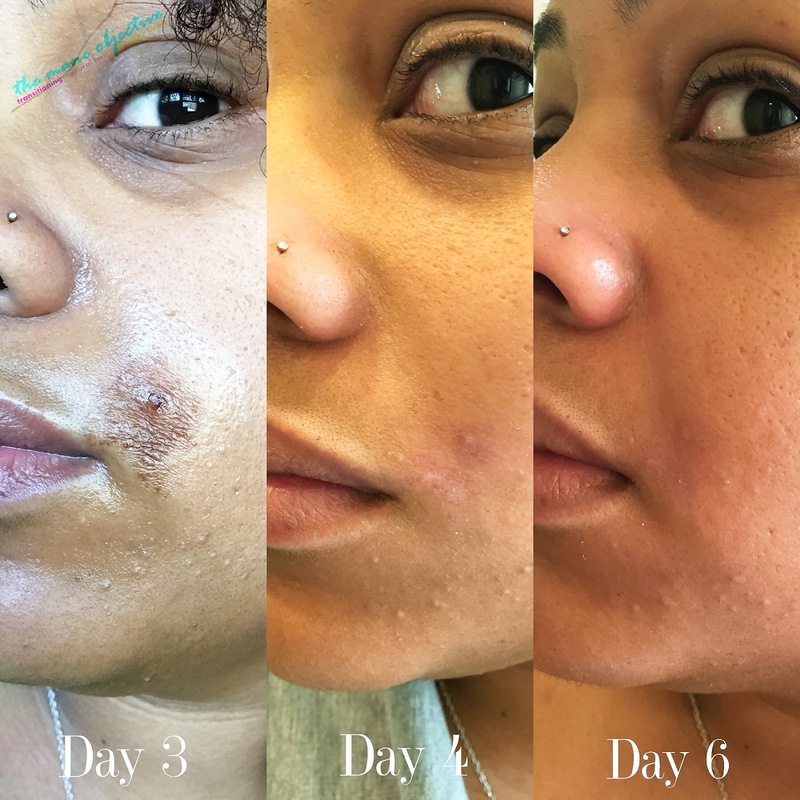 As you can see, by day 4, my skin was ready to rock. By day 6 I was back in business forreal forreal. So folks, that's the long and short of it. Tamanu Oil and Shea Butter are gifts from the heavens above. Oregano Essential Oil probably is too, but I got burned. So be patient, and do your Googles. 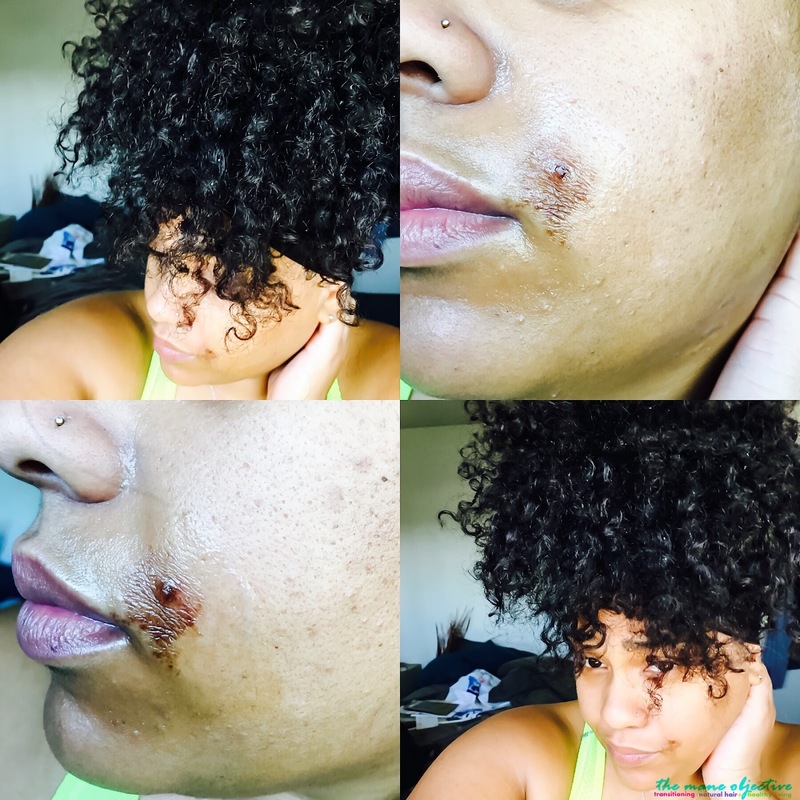 Have you ever had an experience gone wrong with "natural" treatments? Let me know in the comments! What kind of sorcery is this?! It worked so fast! Essential oil is always good to use. They never harm you. Essential oil will help you to healing from any cuts and any type of infection. Hi, just discovered your site after frantically Google searching, "burned skin with Oregano oil" and, "how to get rid of oregano oil burn"
Thanks so much for posting this, I really messed up, my burns were far worse and not so localised, but the results were the same. After day 4 most of my burns had peeled off with no discolouration. Tamanu oil is from the heavens! Loved this product. Would like to include in my skin care kit. Tamanu oil is a well known ingredients to be used to treat wrinkles. Also, this oil is found in many anti-aging cream such as Dermology anti-aging cream.